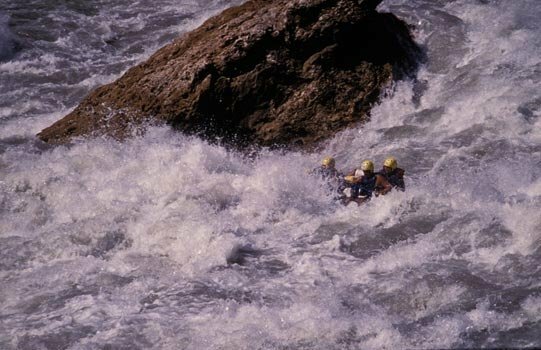 It provides four days of uninterrupted white-water rafting. It begins from Besishahar and ends in Pokhara. The rapids on the river are unrelenting winding through some of the most beautiful mountain scenery, seldom-visited villages, abundant wildlife and sandy beaches. It runs sandwiched between 52 km of boiling foam and towering peaks of Annpurna. Day 01: Drive Kathmandu to Besishahar & trek to Khudi. Overnight camp.